The U.S. said the destruction of the Islamic State in Iraq and Syria (ISIS) terrorist group was an urgent priority for the President Donald Trump’s administration. 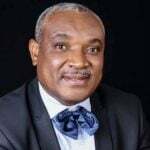 The Special Presidential Investigation Panel for the Recovery of Public Property on Wednesday said it had recovered sum of 20 million dollars from one of the commercial banks in the country. 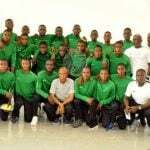 Nigeria’s Golden Eaglets will begin quest for a third Africa U-17 title when they take on hosts Tanzania in the opening game of the 2019 Africa U-17 Cup of Nations at the National Stadium in Dar es Salaam today (Sunday). The Edo Government has said it will commence both physical and documentary verification of pensioners in the state in batches. 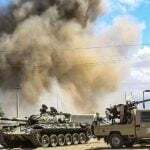 Fighting near Tripoli has killed 121 people since strongman Khalifa Haftar launched an offensive earlier this month to take the Libyan capital, the World Health Organisation said Sunday. 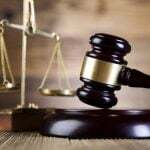 A Sharia Court in Minna on Thursday sentenced a labourer, Hamisu Umar, to 20 strokes of cane for stealing a mobile phone.